The global Bring Your Own Device (BYOD) Market is projected to exceed 350 billion by 2022 from USD 94.15 billion in 2014. Widespread adoption of devices, like tablets, smartphones, and laptops can positively affect the market over the forecast period (2016 – 2024). BYOD enables employees bring their own devices to work. This not only reduces hardware & device costs but also boosts employee productivity & satisfaction. BYOD increases the possibility of security risks, such as device thefts, tracking data, and hacking. Oftentimes, when employees using their own personal devices at work, leave an organization, take with themselves crucial organizational data & information. Moreover, device seizure & data loss and governance & compliance issues can restrain market demand. The BYOD market is fragmented into software, end-uses, devices, and regions. Software is divided into Enterprise Mobile Email Management (EMEM), Mobile Application Management (MAM), Mobile Devices Management (MDM), Enterprise Mobile Content Management (EMCM), and Telecom Expense Management (TEM). Improvements in IT technology can further increase the adoption of BYOD, thus propelling market growth. Based on end-use, the industry is segmented into mid-to-large sized businesses and small businesses. A number of companies are taking to the ‘BYOD’ concept to minimize both operating expenditure (OpEx) and capital expenditure (CapEx). Employees too, share the costs incurred on their devices. This in turn, lowers the costs borne by the company. Small & midsized businesses (SMBs) use MDM (Mobile Device Management) solutions to manage their mobile devices and to increase security. A number of vendors have also introduced tailor-made solutions for SMBs to capitalize on their growth prospects. With a 75% market share (in terms of revenue), mid-to-large sized businesses dominated the industry in 2013. BFSI (Banking, Financial services and Insurance) and healthcare will play a key role in driving the worldwide BYOD market. The growing need for coordinating with customers & co-workers and for remote access to information can boost the adoption of ‘BYOD’ in BFSI. Based on devices, the industry is segmented into smartphones, tablets, and laptops. Owing to high demand & popularity, ‘smartphones’ dominated the market with a 55% share in total revenues in 2013. Since, tablets possess features of both laptops and smartphones, they are a widely preferred choice among consumers. This may aid in market penetration and greater adoption of tablets in BYOD. Regions include North America, Europe, Asia Pacific, and Rest of the World (RoW). North America generated more than USD 25 billion in 2013. The region will continue to dominate the global market during the forecast period. 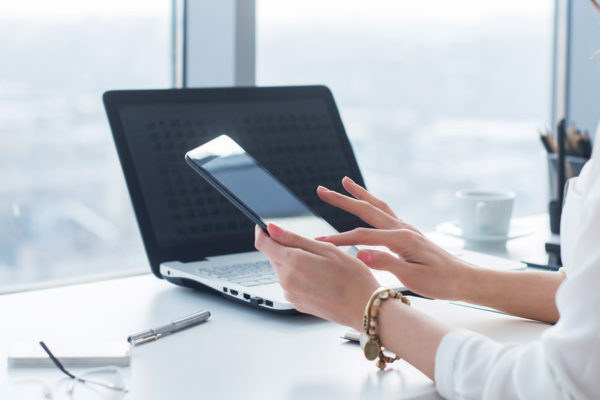 The ‘work from home’ option coupled with low provision rate of corporate mobile devices could increase the adoption of BYOD. The Asia Pacific BYOD market is a rapidly growing one. Factors fueling this region are the robust use of smartphones and tablets and their subsequent impact on information technology. Even though there are a large number of employees who use their own devices for work purposes, the absence of formal policies supporting BYOD is a major challenge in this region. MobileIron, Cisco Systems, Good Technology Inc., and IBM Corporation are the prominent players in the global BYOD market. These companies give considerable importance to talent retention, operational simplification, and cost reductions for enhancing their respective market shares.